Picture-perfect, and a stone’s throw from an ancient Greek amphitheater, panoramic views of the coastline and the majestic Mount Etna, as well as a secluded private beach in the bay of Mazzarò. 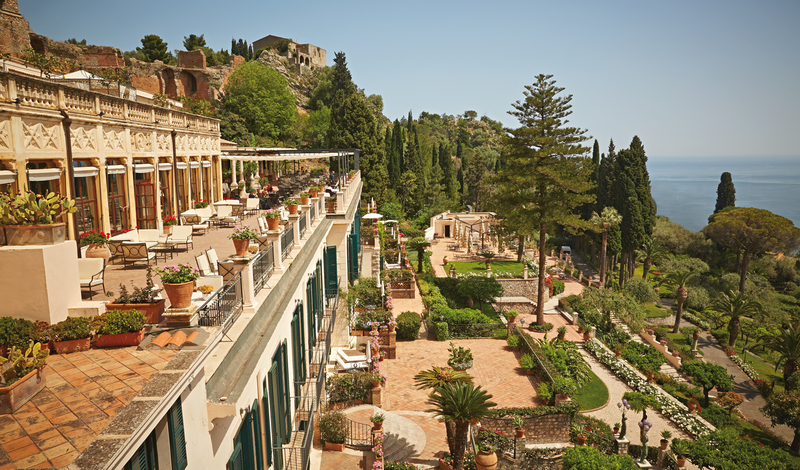 The Belmond Grand Hotel Timeo was the first hotel to be built in Taormina and nestles amongst classic terraced gardens and a verdant, dramatic coastline. The hotel is easily reached by hire car or transfer in just under an hour from the island’s Catania airport, or for the more romantic (and perhaps less time-constrained) traveler, take the train to Taormina-Giardini Naxos Railway Station, soaking in the sights of Italy as you rattle through the countryside, away from the hustle and bustle of Rome. Spacious, luxurious and lavish – enjoy an al fresco breakfast on your balcony or terrace before hopping aboard the complimentary two-hour boat tour available, departing from Giardini Naxos. Opt for a Suite Superior or Suite Deluxe for stately marble bathrooms and beautifully furnished living area, and if you’re going to need a private mini hydro-massage pool and 200 square meter terrace with 180 degree views we’d recommend the Presidential suite (don’t blame us when you find yourself reluctant to pack your bags). A trip wouldn’t be complete without renting one of the hotel’s vintage Fiat 500s on offer – button the top down and feel the wind in your hair as you wind between ancient Sicilian villages, stopping along the way to discover baroque churches, small fishing villages, and perhaps most importantly, local wineries. Film buffs note – Francis Ford Coppola’s ‘The Godfather’ has scenes filmed in the ancient towns of Savoca and Forza d’Argo, which are a short, scenic drive away. 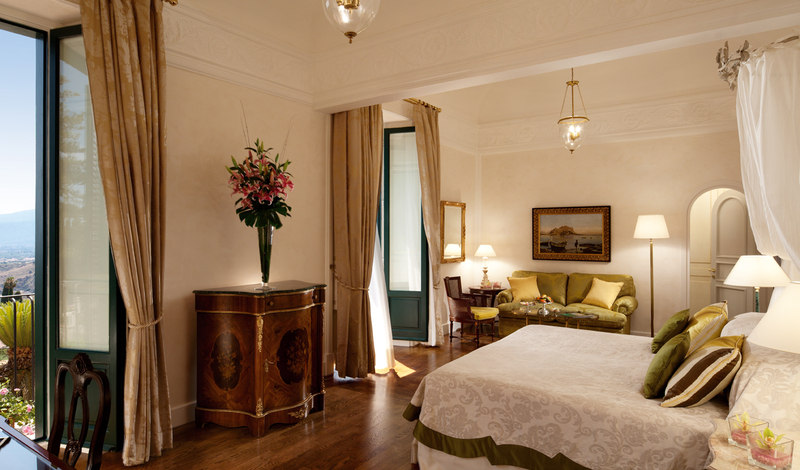 If, however, playing the Italian Mafiosa doesn’t quite float your boat, book yourself in for a spa treatment at the wellness center, quietly hidden within the five acres of sumptuous gardens surrounding this luxury hotel.